The Dar Al Ber Society, a charitable organisation based in Dubai, UAE, said it has completed the work on the Sheikh Zayed Hospital in Kenya, which has been built at an investment of Dh3.59 million ($977,245). An official delegation from the society, which included Abdulkareem Jaafar Al Hassan, Director of Orphans and Families Support at the Society, and Ali Abdullah Al Shehhi, Director of Ras Al Khaimah Branch of the Society, officially handed over the keys to the hospital, which will enable UAE citizens to access health services while working in or visiting Kenya. 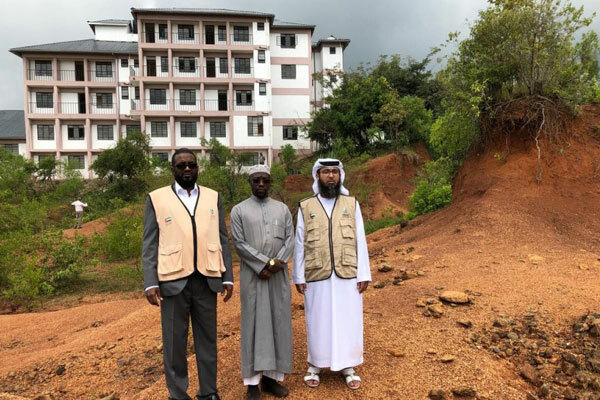 The delegation also held a meeting with the Governor of Kissomo Province, upon his invitation to take over the hospital, whose four-year construction was funded by the society, said the statement from Dar Al Ber Society. Speaking on the occasion, Omran Mohammed Abdullah, the head of the Charity Projects division of the society, said that the hospital, which will begin operations this year, has four floors and includes specialist medical wards and facilities while noting that the society’s 14 projects in Kenya were inspected by its team.